A trendsetting luxury retreat, The Oliver Hotel on Knoxville’s Market Square rewards urban explorers with settings made to inspire. Here, history and hospitality slow dance amid soaring ceilings, sensational seasonal cuisine and cherished Southern traditions. "We had the best time at The Oliver celebrating a birthday. The staff was very accommodating, the affiliated restaurants and bars were excellent! The location is second to none and we'd recommend this place to anyone!" "The hotel staff was most welcoming and helpful. The Oliver is a classy hotel. We loved our room facing Market Square where there is a variety of dining experiences. The bed was very comfortable after a long day of travel. 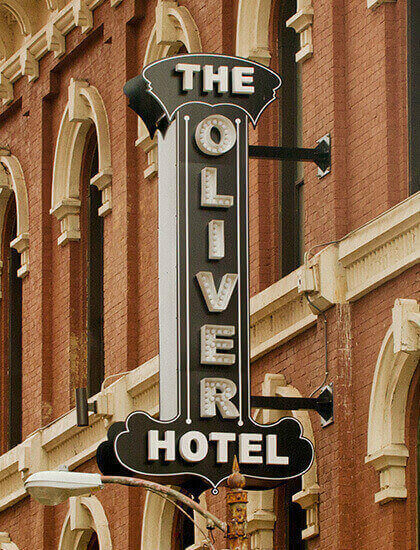 We look forward to staying at The Oliver again." "We love the character of The Oliver- great historic hotel. The service was excellent and the staff great! The location is perfect, a few steps to several good restaurants and within walking distance of UT campus/ Neyland stadium." "This hotel was superb! It is centrally located in the heart of everything and has some history. Not to mention plenty to eat or drink next door in the Market Square. Highly recommend if you're looking for somewhere nice to stay while in town!" 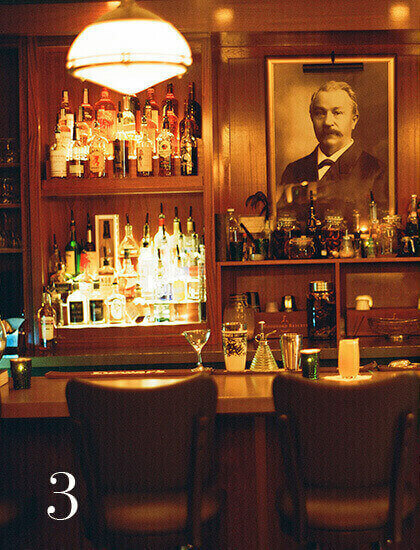 Savor the seasonal goodness of Knoxville in our trendsetting restaurants and best-loved bar. From Oliver Royale’s New American fare to the Southern staples at Tupelo Honey Cafe, you’re steps from all things delicious. And, trust us, no trip is complete without ducking in for a drink at The Peter Kern Library.